Everything that has to do with brain and spinal cord injuries is magnified: the suffering, the complexity of the medical interventions, the length of treatment and rehabilitation, the long-term effects, the costs, and the impact on the victim’s life and family. During this challenging time, you and your family need to focus on your recovery while an experienced Santa Rosa brain injury attorney or Santa Rosa Spinal Cord Injury Attorney handles the complicated legal aspects of filing and defending your personal injury claim. Traumatic brain injuries (TBIs) can come in many forms, which means the type and severity will vary from person to person. 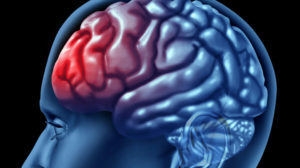 This also means that all TBI victims will be left with unique symptoms, strengths, and challenges that must be addressed through a personal injury claim. Treating the permanent or long-term consequences of a brain injury can cost hundreds of thousands of dollars, funds you likely do not have and should not be responsible for when another person’s negligence caused your condition. Friends and relatives can help you cope with the immediate emotional and practical issues of a traumatic brain injury. However, in order to address the medical, financial and legal problems of such a catastrophic event, you need to have Fiumara & Milligan Law, PC on your side so that we can go head-to-head with the insurance companies and advocate for the compensation you need and deserve. Spinal cord injuries often result in long-term or life-long changes and challenges for victims and their families. North Bay Spinal Cord Injury Attorney Michael A. Fiumara understands the unique and complex challenges that impact victims and their personal injury claims. California personal injury claims for spinal cord injuries require significant considerations that go beyond your immediate medical needs. Accepting a quick settlement will likely bar you from obtaining the compensation you need for your future care and wellness. Fiumara & Milligan Law, PC can explain all of your legal rights and help determine the full range of compensation you may be able to recover.